This week, to celebrate reaching the one million subscribers mark, video essayist Michael Tucker, a.k.a. Lessons From The Screenplay, decided to finally tackle Charlie Kaufman’s meta masterpiece Adaptation. It seems obvious that a YouTube channel dedicated to exploring the innerworkings of screenwriting would have a lot to say about a film that explores the inner struggle of a screenwriter, but Tucker was determined to go one step further. He decided that the only way to appropriately convey the themes at play in Adaptation would be to turn his video essay into a short film about the creation of said video essay. The comedic interplay between Tucker and his “brother” Zach (played by friend and artist Zach Brown) could have easily devolved into pure, silly parody. Tucker manages, however, to slip numerous little nuggets of real insight into his script. “[Adaptation’s] greater success is that it authentically captures the neurotic, laborious, and dizzying process of writing something. This is enhanced by the meta aspect of it being a film about writing the film the audience is watching,” Tucker writes in his film within a film that’s about writing the film you’re watching. 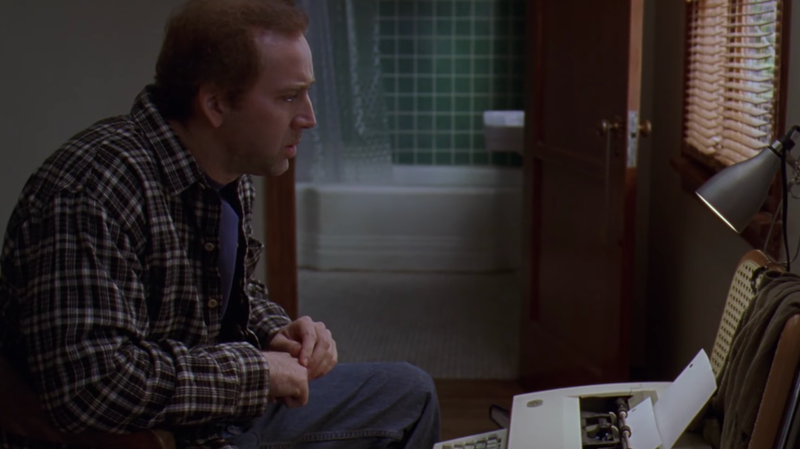 In the end, this video essay is as much about the struggle to write insightful, well-researched film criticism as it is about Charlie Kaufman’s film. That’s maybe the best tribute to Adaptation there is.